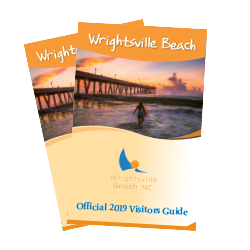 Wrightsville Beach, NC - Previously dubbed one of the top surfing towns in the world by National Geographic, Wrightsville Beach will soon be recognized as a “Pioneer in East Coast” surfing, and the birthplace of surfing in North Carolina. To commemorate this historic milestone, a highway marker will soon be unveiled honoring the island’s surfing heritage since 1909. Read on to find out more about the history of surfing at Wrightsville Beach and how the coastal town has transformed itself into one of the most popular surfing hubs in the world today. To commemorate Bridgers’ achievements and the role of Wrightsville Beach and North Carolina in the sport of surfing, the state is creating a North Carolina Highway Historical Marker that will be installed and unveiled in October 2015. The marker will highlight the active and walkable town of Wrightsville Beach as the “Pioneer in East Coast Surfing” and will stand at the intersection of Waynick Boulevard and Bridgers Street. By the 1930s, hollow wooden surfboards with a stabilizing fin were introduced, increasing bounce and maneuverability for surfers. During this period, notable Wrightsville Beach wave riders that helped shape the surf culture included John R. Handby, Katherine Meier Baird and Claire Fergus Funderburg. It was during this time, following World War II, that surfing entered a great period of change at Wrightsville Beach. Beginning in the 1950s, surfboards transformed from wood to the modern fiberglass and polyurethane foam boards with a lighter and more buoyant construction. Traditional long surfboards were introduced in the 1960s, and have remained extremely popular to this day. Prominent surfers during this period included J. Skipper Funderburg and Will Allison, an inductee in the East Coast Surfing Hall of Fame. It wasn’t until the 1970s that short surfboards entered the surf scene, further increasing maneuverability and providing numerous advantages over older style boards. Today, a variety of boards exist including long boards, short boards, boogie boards and standup paddleboards that surfers can use to take advantage of the crystal-blue, surfboard-friendly waves found in abundance at Wrightsville Beach. Wrightsville Beach is North Carolina’s most accessible beach from Interstate 40. It’s easier to get here and even easier to stay. Everything visitors need is right on the island, with an abundance of outdoor activities, rich history, the scenic Intracoastal Waterway, miles of beach, family-friendly events, and full-service hotels and rental options. For more information, go to www.VisitWrightsvilleBeachNC.com or call (800) 650-9106. Find us on Facebook at www.facebook.com/WrightsvilleBeachNC and Twitter @WrightsvilleNC.